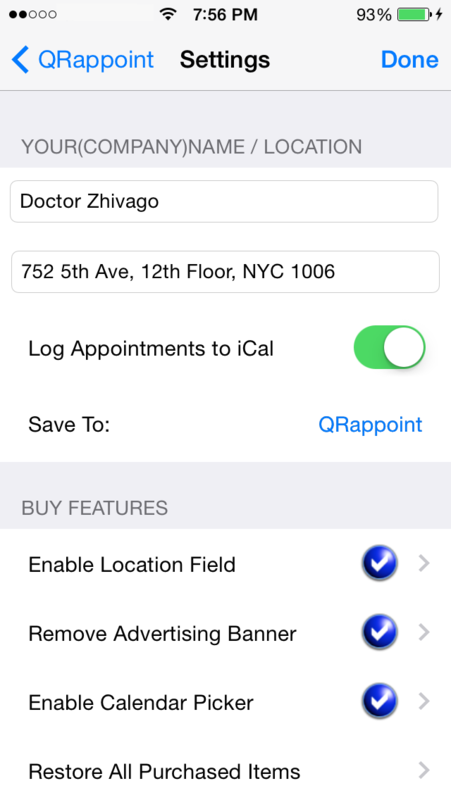 QRappoint - QR Codes easy! 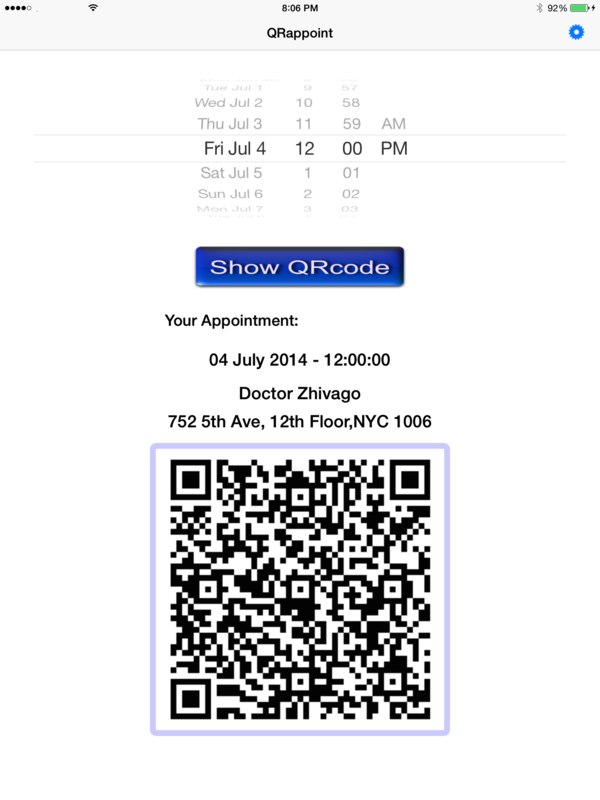 With QR-Codes you can instantly provide appointments directly to your clients, friends or partners calendar! 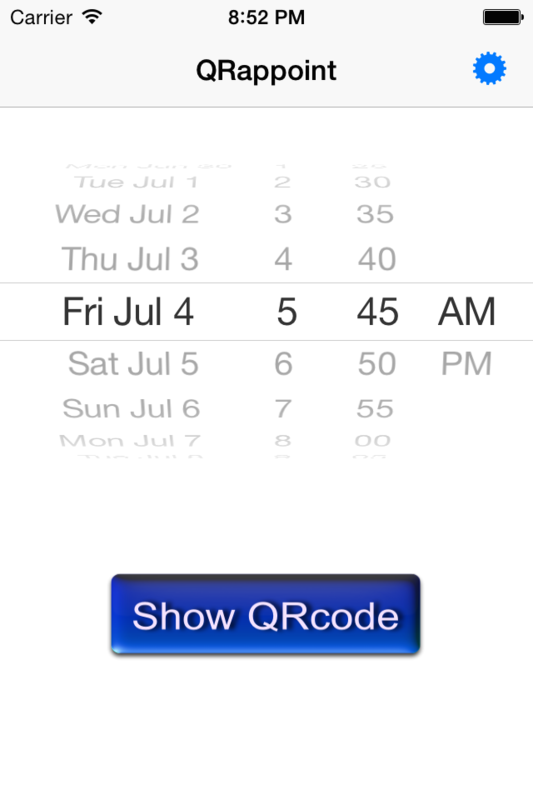 Just setup a date & time and press the button to create a QRcode to be scanned from any receiving device. forget post-it notes and drawn-out administration! 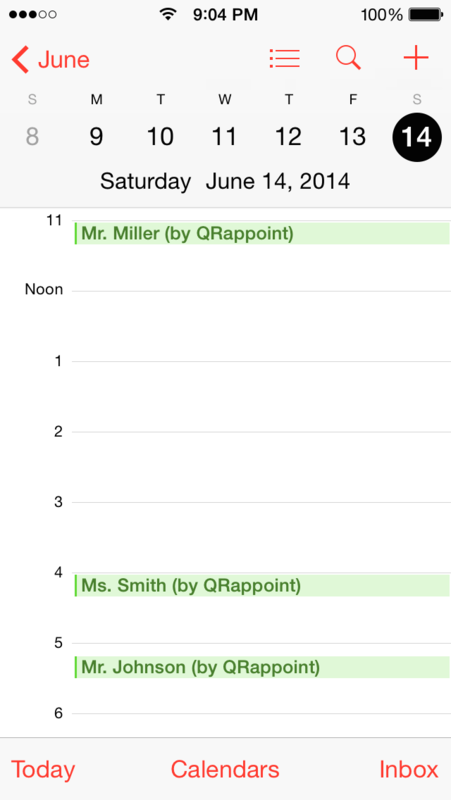 In addition to the customized QRcode , QRappoint can log every generated appointment in the (iCal) calendar of your iPhone or iPad. When you start QRappoint for the first time the setup only takes seconds. 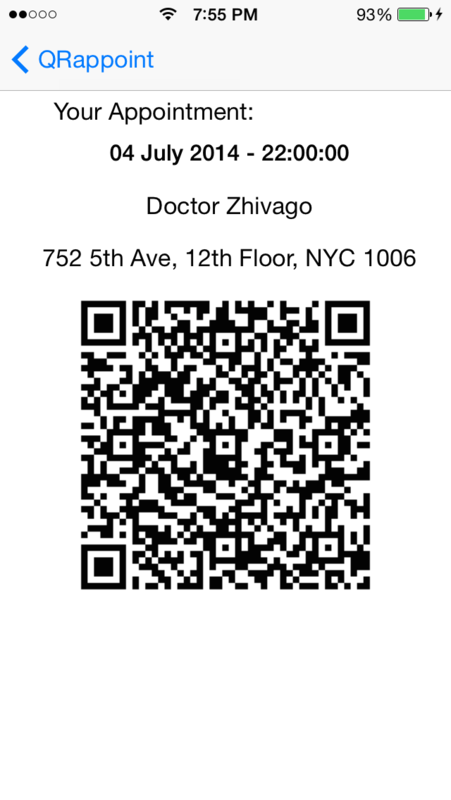 Just enter your (company)name, location and some additional info. This information will be provided automatically with every transfer of your appointments!